These are livable centerpieces… It’s really just fun. You don’t even carve the pumpkins. You just put the succulents on top and bring it to someone’s house. It definitely beats a bottle of wine. 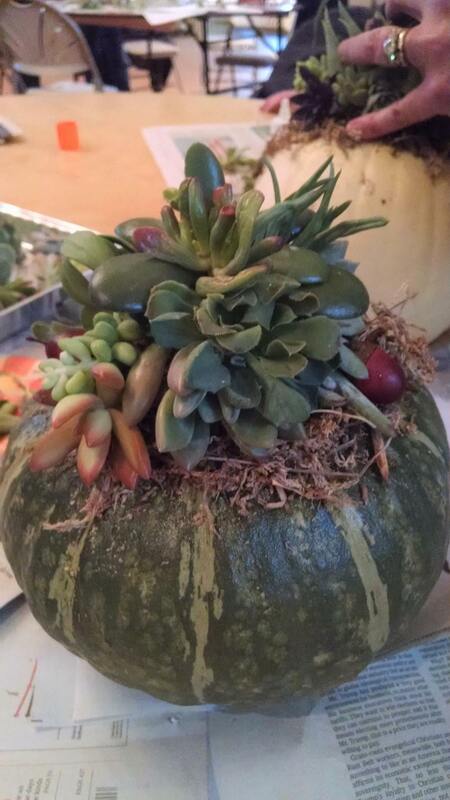 The centerpieces consist of normal pumpkins with succulents (juicy leaves) glued on top for decoration. We used a variety of succulents to the workshop of all different shapes and sizes and colors.